To Decant or Not to Decant Wine, that is the question. Decanting wine is a popular tool in every wine lovers arsenal, when it comes to wine tasting. Decanting wine can improve the tasting experience. It can also ruin a wine. It’s important to look at the specific wine and the type of decanting being utilized to decide on the best course of action. Decanting can be helpful for Bordeaux wine, California or Rhone wine as well as wine from every region. But it can also be harmful as well. Much of that is easily determined by the vintage, producer, grape variety, age and condition of the wine. There are several schools of thought when it comes to decanting wine. Some people decant every wine for hours. Others like decanting wine to remove sediment and some tasters decant hoping to wake up or soften a wine. Wines feel softer because the act of decanting, which adds oxygen to the wine reduces the sensation of the natural acids and polyphenols that create the tannins in the wine. To make this even more interesting, there is double decanting! What method of decanting works best, depends on the wine and your desired results. Decanting wine works on the principal of Brownian motion which is based on knowledge that the random movement or drifting of particles suspended in a fluid, (wine in this case) has an effect on the texture and aromatics present in a wine. Very little happens just by pulling the cork. Using simple laws of physics, (or at least attempting to) it is the action of the decanting wine that causes most of the effects to take place. The movement of the wine allowing air to mix with the liquid begins the chemical process. That is what takes place when decanting wine. Simply opening a bottle has little effect, due to the slow movement of the molecules to bring about changed in the wine. Please note, I said little effect. 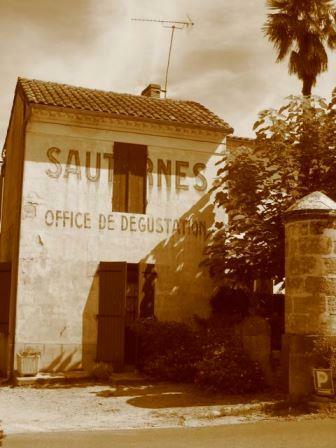 It is the movement that takes place during the exposure to air that starts the reactive process within the wine. 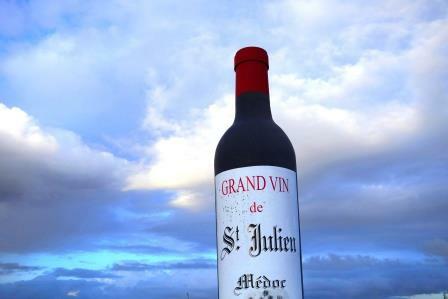 The speed and extent of the changes that occur in the wine after decanting is determined by numerous factors, including the chemicals and structure found in the wine, the temperature of the wine and the size of the decanter as well as the vintage characteristics and the grape variety. The exact chemical composition depends upon a myriad of choices ranging from varietal types, age, storage conditions, additives etc. The decanting process is retarded or accelerated by the volume of air the wine is exposed to when decanting wine. Exposure to air starts a reactive process within the wine that runs on a schedule determined in part, by the chemicals within the wine. The exact chemical composition depends upon the grape varietal, age of the wine, storage conditions, additives etc. Removing the cork, but leaving the wine in the bottle also begins the process, but at a very slow rate. This is not recommended as a way to decant wine. The rate at which the changes take place when only the cork is removed is so slow, that chances are, by the time the wine in the bottom of the bottle has completed its evolutionary process, the wine in the neck could have oxidized. The chemical chain reactive process known as decanting begins once the wine is initially exposed to air during the movement of the wine during decanting wine process. The chemical changes taking place can go faster or slower, depending on how much surface air the wine is exposed to, I.E., the size of the decanter or glass. You also need to factor in the specific chemicals in the wine which vary according to the age, grape varietal, vintage and even the style of wine making. The temperature of the wine can alter the speed of the decanting wine process as well. More oxygen enters the wine speeding up the process when the wine is cold, rather than when it’s warm. What wines are helped the most by decanting? Even that simple question is hotly debated. Some tasters prefer to decant Cabernet Sauvignon, Champagne, Chardonnay, Sauternes/Barsac or Pinot Noir. Others only decant older wine. I have friends that decant every wine, regardless of the age, style or variety. Personally, I decant all young, tannic wines. The exposure to air softens the texture. that is almost always to the detriment of the wine. Extended decanting wine can kill the aromatic properties of a wine. Remember, you can always let a wine continue to evolve slowly in your glass or decanter. Once a wine is over decanted, you can never bring it back. You have effectively killed the wine. It’s good to check in on a wine that you’re giving an extended decanting to. Fortified wines are an exception to the long decanting rule. Port, Madeira or other fortified wines can endure and often benefit from long decanting periods of 12 hours or more, depending on the wine and vintage. Decanting wine that is older can be a good idea. It is the perfect method for removing sediment. In wines that have aged or matured, it is common for sediment to have collected in the bottle. Sediment is a natural part of aging wine. Depending on the wine, it can look like either fine grains of sand, or large, unsightly chunks of dark matter. Sediment is created by the natural chemical changes that occur with time. Sediment is not harmful, however, it leaves a bitter taste. Thus, it’s best to either remove it with decanting, or make sure very little is poured into your glass. The act of decanting the wine prior to service removes the sediment, giving the taster a cleaner wine. That being said, if you have the time, the best way to ensure sediment does not get into your glass is to leave the wine bottle standing upright for a few days prior to service and to pour it slowly. With most old wine, a simple splash decant, which is pouring the wine into a decanter before pouring the wine into glasses is sufficient. Double decanting wine is a good idea. The most famous practitioner of that method is the well-known wine critic, Robert Parker. Double decanting is simple. The wine is removed from the original bottle and poured into a decanter. The bottle is washed with clean water and all traces of sediment are removed from the bottle before the wine is poured back into the bottle and the cork is replaced back into the bottle. 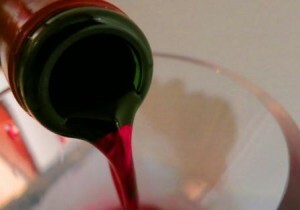 The double decanting wine method adds more air to the wine because the wine was exposed to oxygen twice, on the way out of the bottle and on the way back in. At home, I prefer a normal decanting. I reserve double decanting wine for bottles I am going to bring with me to a wine tasting or restaurant. Not everyone thinks decanting wine is a good idea. Many winemakers do not believe in decanting wine in the belief that quite often, more harm than good can come from decanting wine. In fact, the famous, Bordeaux, Oenologist, Professor and author, Emile Peynaud believed decanting wine for the purpose of allowing a wine to breathe offered no benefit and could be harmful to the wine. Friends of mine believe the violent introduction of air to a wine, (known as hyper decanting), by the use of a blender is helpful. I do not agree. It disturbs the wine, adding far too much air, in such a short period of time. However, depending on the wine, the action of gently passing the wine from decanter to decanter can help the wine open at a quicker pace. Can the act of removing a cork, or decanting wine bring a moribund wine back to life? 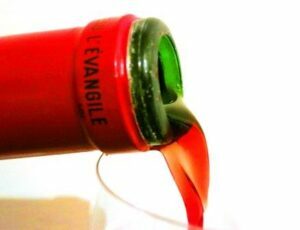 Unless you’re Jesus bringing Lazarus back to life, no form of decanting can resuscitate a dead wine. A dead wine is dead wine because it’s dead. Wine is a living entity with a life span that varies depending on the type of wine, the vintage, how it was stored and even the size of the bottle. Should you decant wines sealed with screwcaps? Yes. The reason is, wines sealed with screwcaps can hold a lot of gas that was on top to the wine to help act as a preservative. That can produce off putting odors. Decanting will help eliminate those odors. Decanting is not going to remove the taste or smell of a corked wine. In my experience, neither does dropping Saran Wrap into your glass of corked wine. Saran Wrap does seem to remove some of the corked odor, however, it also allows your wine to taste like plastic. Neither is good alternative. To decant or not to decant remains the question. There is no right or wrong answer. Like wine, decanting wine is all about personal taste. I wish I’d read this before decanting a 30 year old ch batiley for 2.5 hours. My mistake. I am planning on drinking the Chateau Latour 2004, how long do you recommen to decant it? 3 hours? Good article Jeff. Hosting a lunch tomorrow with guests such as Jancis R and other luminaries. 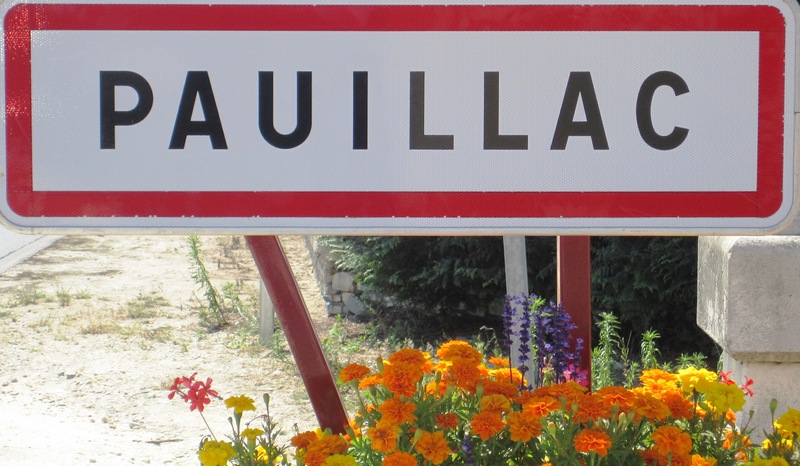 Taking a Chave and La Chapelle 90 and intend to double decant both about two hours before servind—partly to ensure the wine is sound. Thanks in advance, I truly appreciate it. Do you decant your wine? Check out this article to get all the info about decanting! What about decanting older reds? Asks @Victoria_Devine. Great question! We had to look it up. http://t.co/5l3Uk9QolB. @JeffLeve says yes. Huh? Brings you back to this very fine article . . .
We are a high end Napa Cabernet Sauvignon producer (Dos Lagos Vineyards, Robert Foley Winemaker) and we decant when we do public tastings. Our tasters often comment that it is nice to see that we care so much about the wines that we decant, so we are leaving them a good impression. Also, since we are frequently pouring younger wines and new releases, decanting allows the wines to open up a bit…. Great article, I’m a bit skeptical about ‘ruining’ a wine by decanting, but an older wine may release its flavors too fast if decanted, I suppose. Tough tradeoff between removing the sediment and losing the flavors! I ran across your post while searching for info on your 2009 Dos Lagos Cab. I received it as a gift, can’t find out much about it and I’m curious if it’s too soon to open. Comments? Thanks in advance. Good job! Do you really have a friend that uses a blender for decanting wine? Jeff, Thanks for the article on decanting wine. It’s truly detailed. I’m wondering, when you say over decanting, how long is too long to decant a wine? 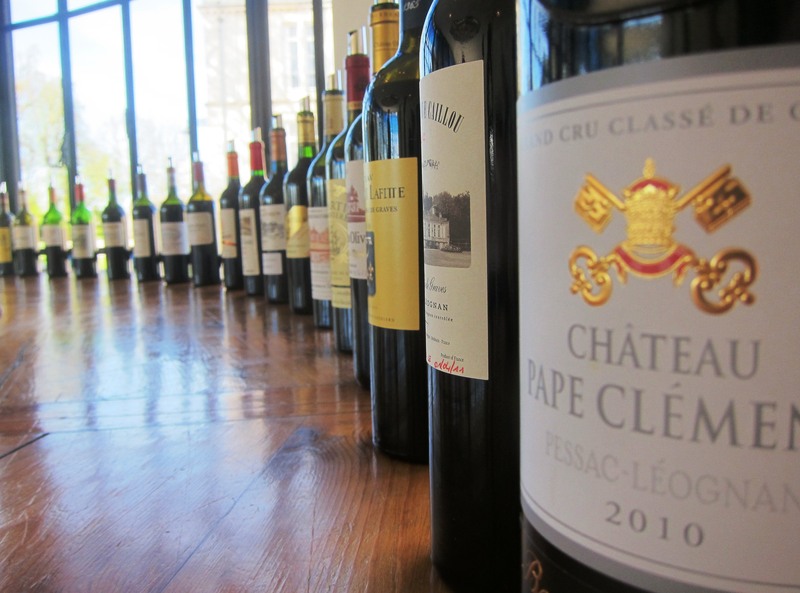 Do you decant Bordeaux wine longer or shorter than California wine? I find Bordeaux wine to be more tannic and higher in acidity than California Cabernet Sauvignon as well as for most California wines from Bordeaux varietals. For that reason, personally, I decant young Bordeaux wine for longer periods than California wine the majority of the time. Interesting, thanks Jeff. When the last glass from the bottle is best then you know you should have decanted (a bit late to know this but great if you have a bottle or more left). I find a useful compromise at home is to decant half the bottle and then decide later on whether to decant the rest. Red wine in restaurants is usually so young that one almost always have to decant (often I use a water jug – better ugly than harsh tannins). Kevin… Thank you for the post! It’s tricky. Because if the first glass of wine is the best, the wine could go downhill from that point. There is no perfect place to catch a wine. When possible, I like to decant a wine to open it up, but not all the way. I like the wine to develop in the glass. It’s fun and interesting to note the changes in texture and aromatics. Is it worth mentioning that sometimes one should decant a wine to avoid having a hideously ugly label on one’s dining table? If one cares about one’s table – the crockery, napery and cutlery – then surely it is important to avoid having garish, ugly wine labels alongside them? Frankly, it wouldn’t matter if their contents were delicious. They look as if they contain fizzy drinks. They would reduce a dining table to the status of a children’s party. So please – do consider decanting for the sake of aestehetics as much as taste. There is nothing wrong with decanting wine for the sake of appearance. Why not? I agree, some bottles are better looking than others. When the wine offers an attractive hue, it looks great in the decanter. Interesting read Jeff. I have noticed with mature bordeaux and cabs that the flavour can literally jump out of the bottle and into the air so I dont decant those but prefer to watch them in the glass. But as you have stated there are many factors involved and I think the most tricky situation is when you are decanting a bottle and bringing it to a restaurant or tasting. Thanks David. For wines with bottle age, younger than 30 years, I’ll usually splash decant and pour. For wiens over 30 years of age, I prefer to stand them up for a few days prior to serving to allow the sediment to fall to the bottom of the glass.